You will receive 2 of each design. Please convo me if you have any specific requests. 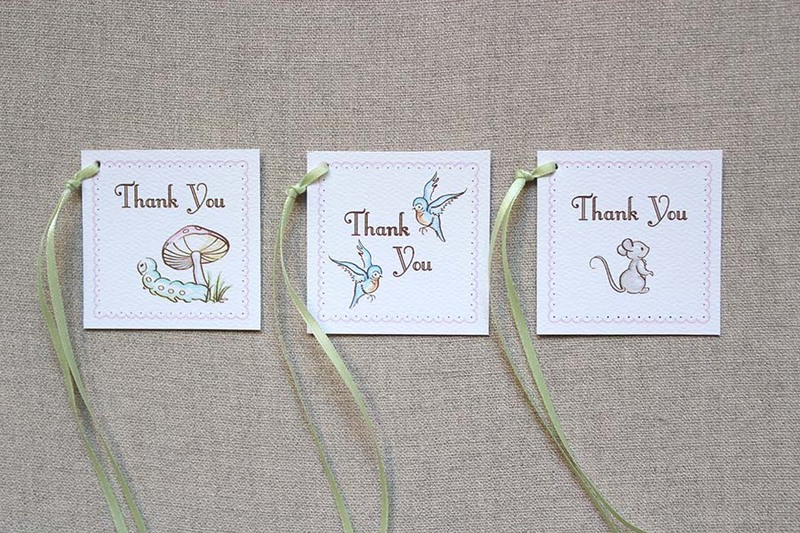 These are perfect in completing your Forest Friends Shower theme. Shower invitations and thank you cards are also available.